Ok, you decided. Almost all of your friends are on Twitter. What’s more – even your boss is tweeting from time to time, even with your grandma 😉 So – you must be in. But how to start with it? You are not computer freak, and social media are for you “black magic”. 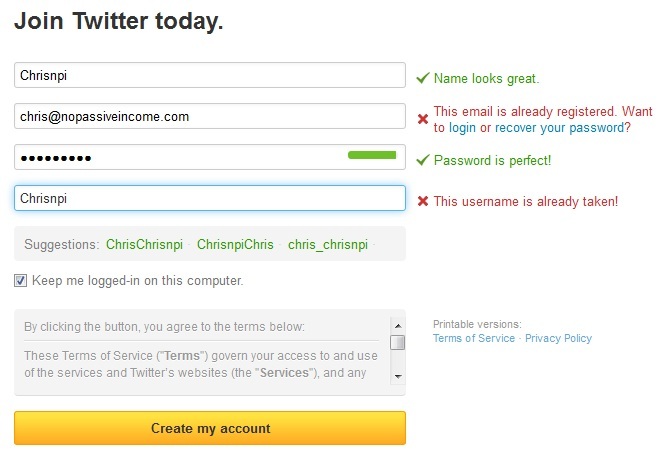 If some of your data will be incorrect (especially Username and your email), Twitter will inform you of it and will give you some suggestions. At the end of your configuration tour, you are able to upload your photo, and describe yourself in some words. You can skip each of these steps at each moment. After confirming your email, it’s strongly recommended to update your profile. There are a lot of settings, you can change here – password, design, notifications scheme, and even Apps, which have access to your Twitter account. But there are some settings, you shouldn’t forget about. Please add proper information about you, use your real photo as an icon of your profile – it really helps to buid your credibility. If you have website or blog – you can put proper address into your URL field. And don’t forget to fill your location, especially if you plan to tweet to followers from another time zone. If you want, you can update your background image. It’s not very important, but it can be helpful to distinguish yourself from the crowd. Finally, your account is created and information about you is completed. But who will read your tweets – you don’t have followers! At the beginning of your adventure with Twitter, you should be proactive. Add at least some people, you want to follow. It may be your friends, colleagues, mentors. You should try to find people in your niche and follow them. 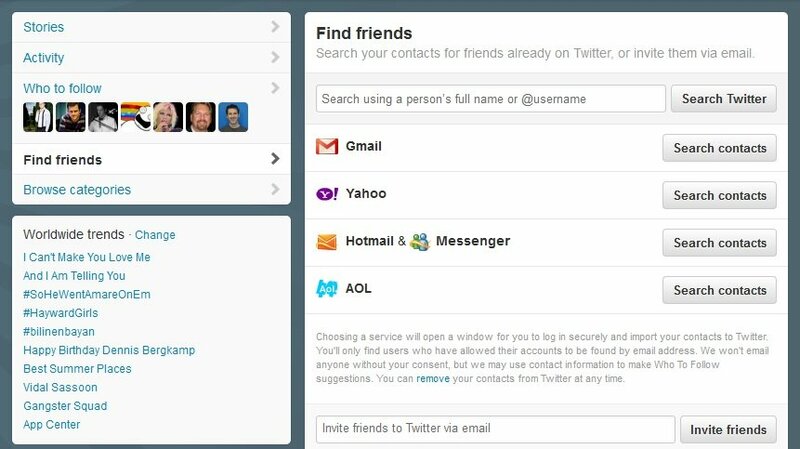 If you have an account in Yahoo, Gmail, Hotmail or AOL you can search people to follow in your contacts directly in Twitter. 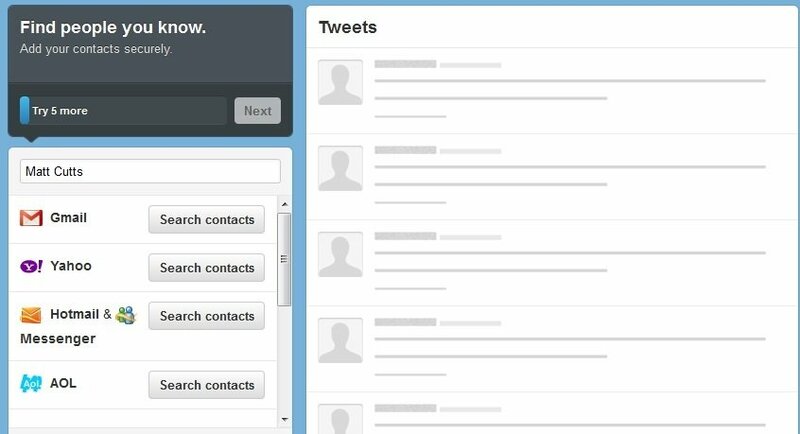 Finally, you can send information about your Twitter account to your friends, colleagues and family. If you want, you can place you twitter icon on your blog or website. Ok, my configuration is finished and I have some followers. What’s next? 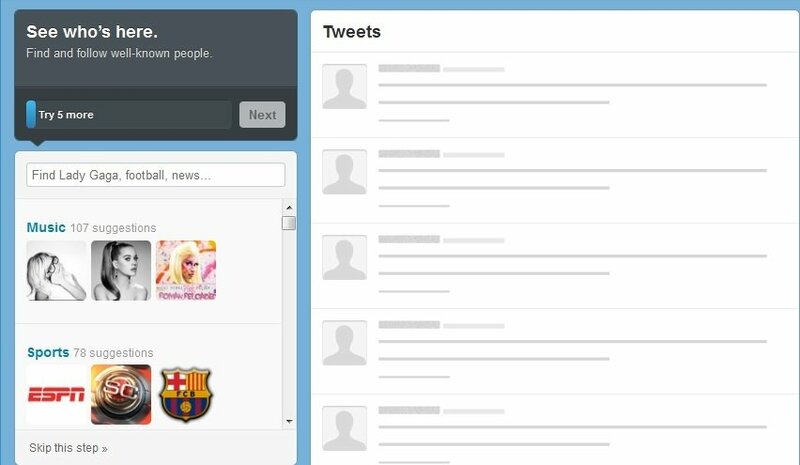 You can tweet about almost everything – some people tweets about hot topics, some share links from their blog or websites, in order to grow their online businesses. Some people, from time to time, tweet citations of famous people – and it also works for them! There are also people, who love tweeting about everything – interesting sites, articles, ideas, private life, etc. 1) Each day (or almost each day) you should make at least 3-5 tweets. 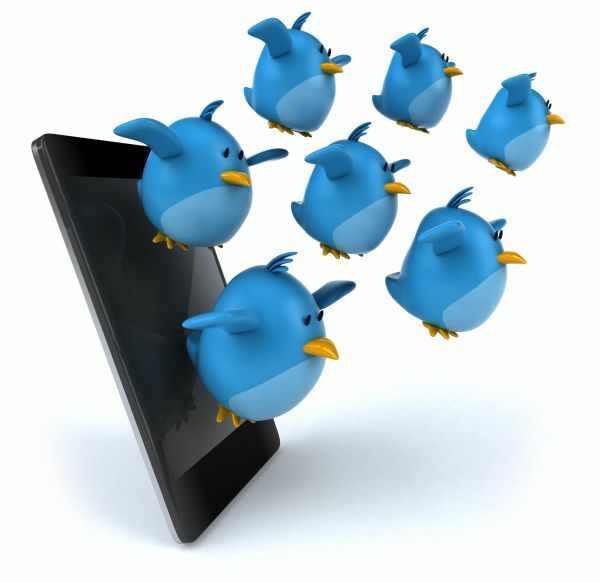 If you aren’t tweeting, why your followers should follow you? Should I follow my followers? 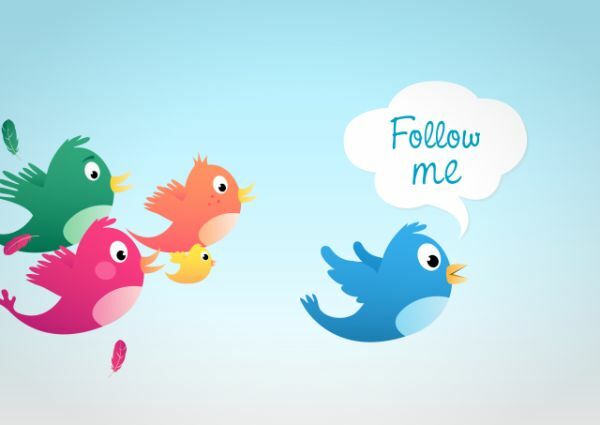 3) If someone is following you – should you follow him/her? It depends – I check the follower and if his/her tweets are interesting, I click “follow” button. How to don’t lost your followers? And I know that there are other great articles about Twitter and tweeting – so below you can find some of them. If you like this tutorial, you can follow me on Twitter – I tweet about business, management, SEO, internet and affiliate marketing and making money online. Useful guide for those who begin to familiarize with the world of the blogosphere, social media and online marketing. 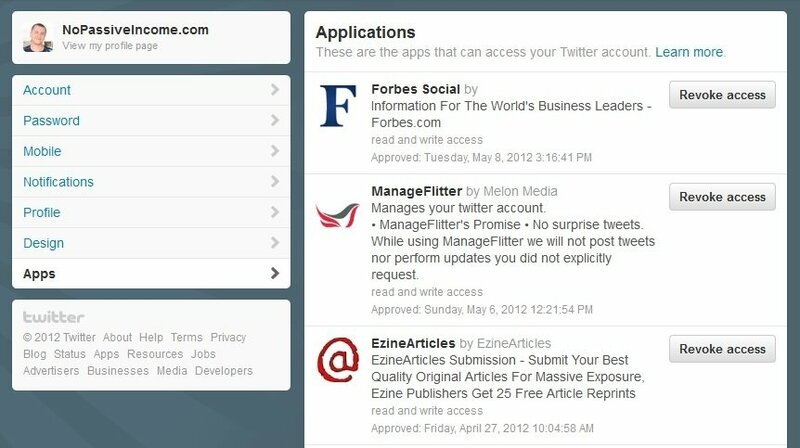 I think Twitter is still a very valid tool for online promotion. And many services gravitate around it, as for example the useful Triberr. Thanks for the mention, will return the favour soon. You should definetely try and use Triberr, Chris! this means that you I can reach almost 4 millions people via Twitter with one post and my article can be retweetted and read also by the 148 tribemates. thanks, but that doesn’t help me at all, what do the symbols mean? I try to find people I know but can’t, who do the tweets go to if I don’t assign a receiver? I can’t even find people that I follow. I do find them eventually though. Some great tips here for anyone starting out on Twitter. There is a lot to get to grips with and it can be daunting at first, but Twitter is essentially a great place to talk with and interact with interesting people. Thanks for commenting, Matt. I agree with you, that’s great place for interacting with another people. Thanks Cyracks, welcome to my blog! Hi Shamelle, I must check Twellow and WeFollow, I didn’t use it before. Hi Trung, nice to see you again! I’ll be back to read more. Hi Julia, thanks for stopping here and for your support – I really appreciate it. I’m really on John Chow’s blog 😉 ? 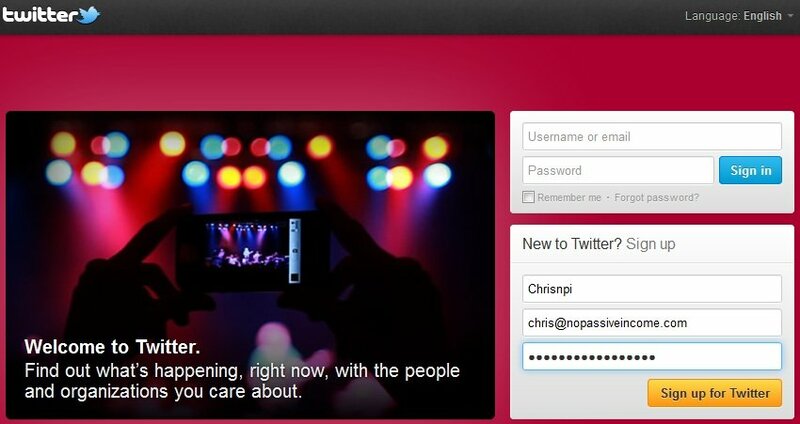 I’ve had twitter account since about 2 yrs ago, but I am really interested with twitter now after reading this. Yes, Herby, Chris wrote an amazing article! For any Twitter new use. Twitter has become a part of daily life for many like me…This is a great introduction to the social platform..Will share it with a few friends who have been bugging me about twitter.. thanks. Hi Chris,great submit, thank you pertaining to expressing! it seems to be helpful for me because i uses twitter but don’t know how to increase my followers. but i think after reading your article i can use twitter in a beneficial way. Twitter is a another great way to share our knowledge with others by just tweeting. It plays major role in blogging and also enhance the readership of our blog. When I started blogging I never take social media as an important part of it. But then I soon realize that some of the big blogs are only getting readers only from social media networking sites and twitter and Facebook are main in it. However, few days ago I don’t even know how to follow someone on twitter but after some time I know the basics of it. And now you also teach me some advance features of it so, I am sure that soon I will fully insure that I am good in performing social media for twitter. These tips will take me to next level of twitter and I am sure that after few days I am able to take full advantage of. Great post looking forward to see more from you. Erik thanks for giving us a great blog that is full of knowledge. i have no idea of twitter, il try. How do you tweet to other people and most importantly, how do you know they get the tweet? I’ve sent tweets but my friend (on his own twitter page) can’t see my tweets to someone else.